Steak, done to a T.
Ask most people in London about quality steak restaurants and, assuming you don’t get a blank expression, the responses are likely to be Hawksmoor, Goodman or maybe Flat Iron. Well, now, we can add London Steak Co. to that list. Of course, there are hundreds of establishments across London that have steak on the menu – from the distressed leather and fries you get in some pubs through to the hand reared, grass fed, gently cuddled cut of finest sirloin and thrice cooked chips found in the top restaurants. But few restaurants truly attempt to specialise in steak compared to the number that try to do so in Pan-Asian or Indian Cuisine for example. The reasons for that are obvious. Steak & Chips or versions thereof are not exactly hard to do. It goes something like this: Cook steak. Cook chips. Put on plate. Add sauce. Pour wine. Serve. Job done. Hardly pushing the comestible envelope, is it? 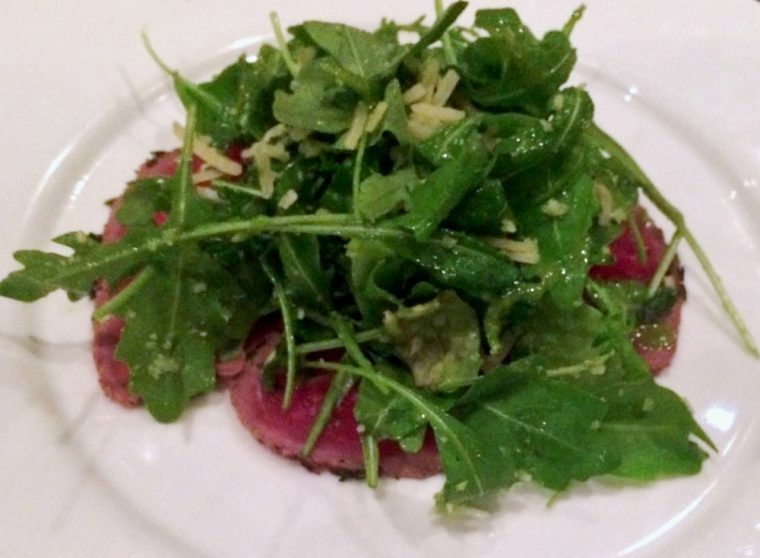 The ease with which steak can be (and frequently is) added to menus makes it hard to distinguish good from bad. Steak is a bit like jewellery in that respect; there’s so much of it around that finding a real diamond is tricky. Fortunately, the London Steak Co. is just such a gem. If the restaurant is simple and elegant, it needs to be. The decor is bright and clean; the tables are pristine; the floor is polished.The staff are likewise perfectly turned out with bow ties and shining white shirts. This is a city restaurant after all and nothing short of that immaculate, almost surgical sharpness will do in such a competitive area. 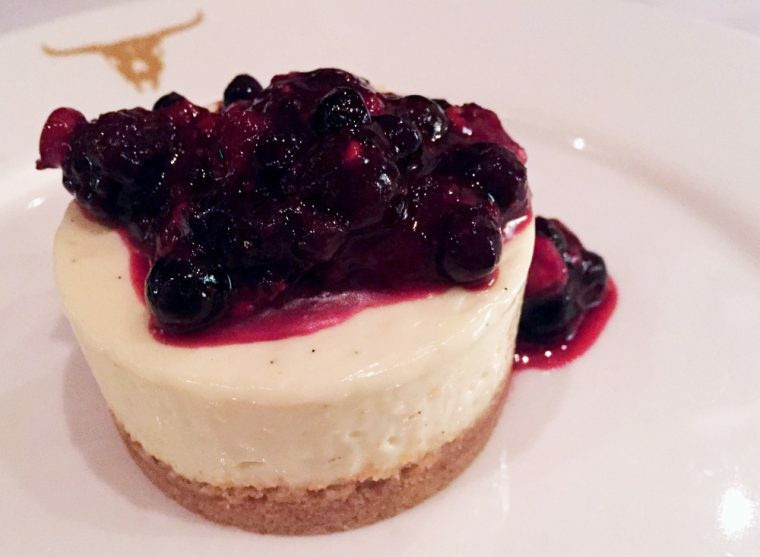 In an era where ‘sharing food’ is in vogue and a time when casual is the new formal, the London Steak Co. is refreshingly punctilious. The old school concepts of flawless service, waiters who know every detail of the menu and tranquil dinner tables are alive and well here. Like a German train timetable, the restaurant never skips a beat. But frankly, that’s all preamble when you consider the food. The steak is outstanding; there is no other word. There are a huge variety of cuts and the best thing is that the staff know how to match them to your taste and can recommend how each cut can be cooked according to your preference. 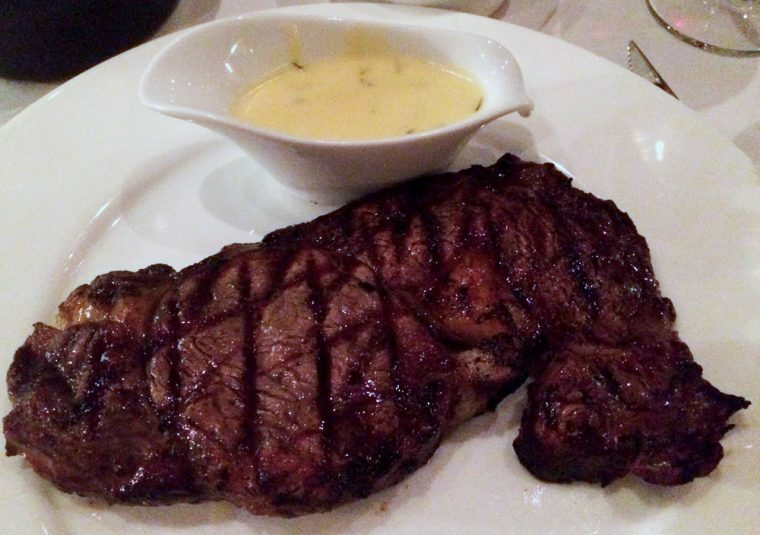 I opted for a 14oz rib eye, cooked medium-rare, with creamed spinach, Bearnaise sauce and mashed potato. The steak was large, had very little fat and could not have been cooked better. So often , even in nice places, the steak is over-cooked. The steak at London Steak Co. is cooked exactly to specification. I could waffle on in cliches and platitudes about how the steak melted in my mouth and fell off the bone, but honestly, that would not do the dinner justice. The sauce, the sides, the accompanying wine (a wonderful Malbec); they all exceeded expectations. This raises another concern I have; value. The total cost for our entire meal was just shy of £150. That’s for two people, with one of the cheapest wines on the menu. For it to be in excess of £75 per head, I’d expect more, quite frankly, though the pricing may reflect the city location. 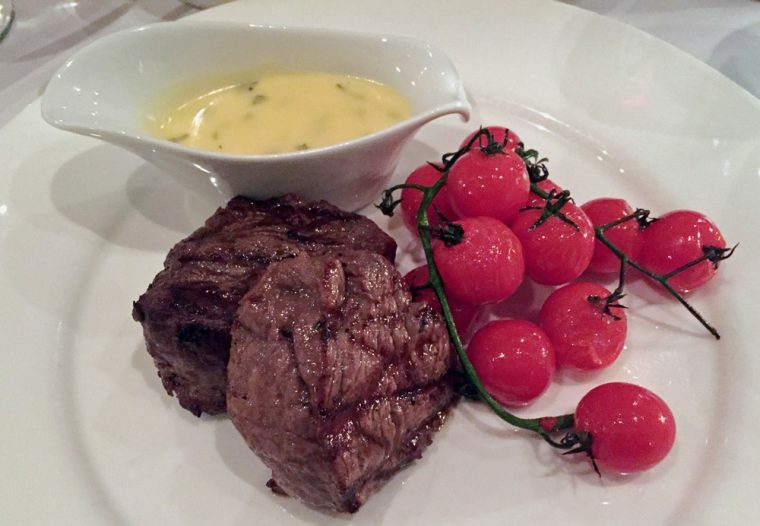 Yes it’s better steak than I’d get in many other restaurants; is it £30 per head better? I’m not so sure. Maybe that’s just a feature of steak restaurants; Hawksmoor and Goodmans are likewise known for their high prices. In London Steak Co.’s defence, it is worth noting that there was a £27.50 per head set menu if you were on more of a budget. 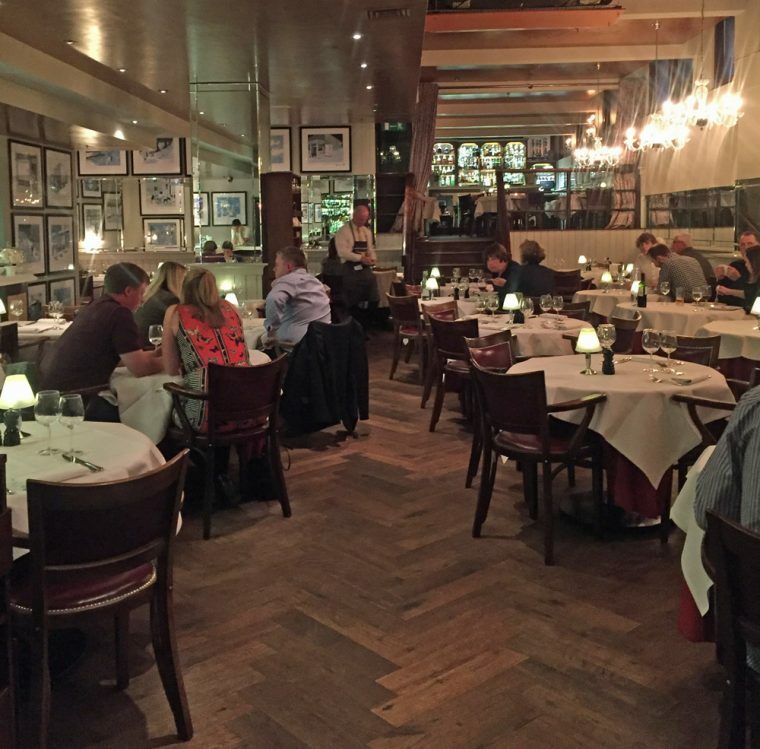 In summary, London Steak Co. is amongst the best of the London steak restaurant pantheon. The food is of such a high quality and the service really runs like clockwork. 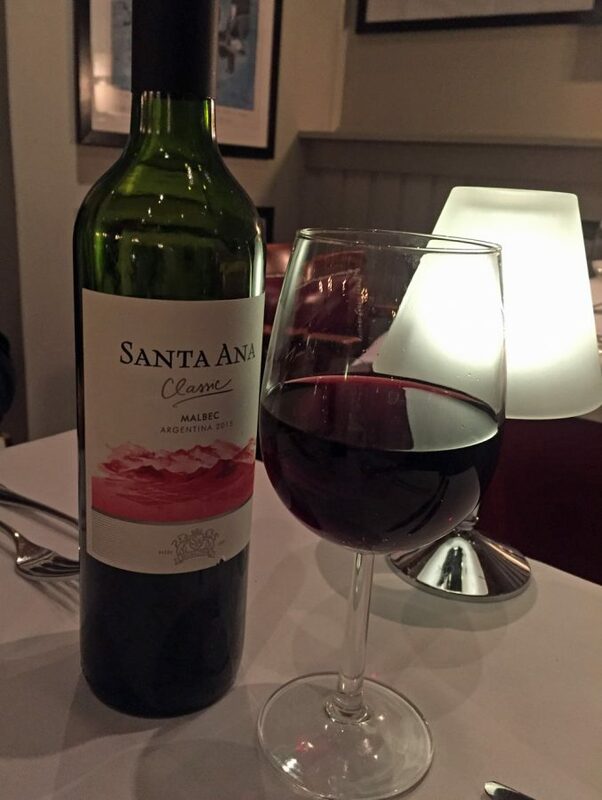 So I’d strongly urge you to book a table…..Just make sure it coincides with a business lunch or a lottery win!